On a broader scope, if we associate semantic meanings with what we perceive, then maybe we can understand how our brain reacts to ideas themselves, and, in turn, understand the biological basis of perception. In addition, we perceive meaning and ideas far too complex to be explained by a neuroscientific understanding of the brain. For example, on when we perceive the beauty of art, “our senses do not easily grasp the complex aspects of the richly textured meaning of art,” says Anjan Chatterjee of The Scientist. Regardless, we may be coming close to understanding of certain ideas, as, according to scientists Tomohiro Ishizu and Semir Zeki from University College London,  when we see something beautiful, various parts of the brain, including the ventral striatum, are triggered. This could explain the biological basis of how we perceive beauty, and, in similar ways, we could find a biological basis for how we perceive the world. But we shouldn’t carried away with our understanding of the mind. There’s still a great deal of disagreement between neuroscientists, philosophers and everyone in between. If anything, synesthesia is a way our bodies speak to us. And, in that sense, we express it in our language and literature. We may describe a dull grey stone metaphorically as a melancholic, somber appearance with a droning bland tone. A sharp pointed object may invoke fright or high-pitched shrieks of stringed instruments. Through other forms of media, a guitar might gently weep or a streetcar may desire. 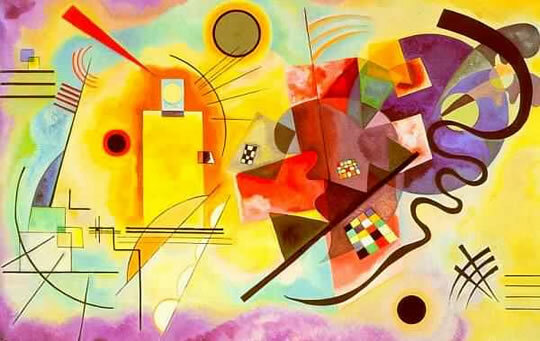 Synesthesia could be evidence that our literary metaphors are grounded in our psychology.